A few years ago, I suggested to a coalition of conservation groups that we use crowdsourcing to engage the world in saving wild tigers and to come up with some fresh, out-of-our-box ideas because business-as-usual was not working. Two prominent wildlife organizations nixed the idea. “That is not our brand,” one of their people said. “Our brand is that we are the ones who have the solutions.” Never mind that millions of dollars had been spent over decades of effort and wild tigers were still in dangerous decline. This week, headlines joyfully called out India’s announcement that wild tiger numbers there may be up by as much as 30 percent. That is good news indeed, if the numbers are right. But here is the risk: Many people may take this to mean wild tigers are out of danger, and some organizations married to that we’ve-got-it-covered brand will be playing down the potentially fatal list of caveats. It would be better for wild tigers if the world took India’s new census as proof there is hope for their comeback and long-term survival while keeping in mind the less encouraging numbers at hand. Even if wild tiger numbers are up by some 300 animals in India, they are down in Vietnam, Cambodia and Laos. In all, there still may be only 3,000 or so wild tigers left in the world. Meanwhile, there are as many as 6,000 tigers on farms in China, where tiger skeletons are steeping in vats of wine as farm backers anticipate a full lifting of China’s ban on tiger-bone trade. These entrepreneurs hope to stimulate demand for their products among China’s 1.4 billion people first, then the world. The problem with this scenario is that wine made with the bones of wild tigers is considered superior, more prestigious and exponentially more valuable. If only the tiniest fraction of China’s would-be tiger-bone consumers were to seek the “best,” organized criminal networks are in place to provide – and entire wild tiger populations could be lost before we know they’re gone, as happened in India’s Sariska Tiger Reserve in 2005 and again in its Panna National Park in 2009. In 1992, the United States threatened trade sanctions against China because its use of tiger bone in medicine was threatening the survival of wild tigers throughout their Asian range. China banned all use of tiger bone in 1993. There were an estimated 5,000 to 7,000 tigers in the wild back then, and hundreds of thousands fewer Chinese with a lot less expendable income. Rekindling an appetite for tiger-bone wine in China today would pose a far greater threat to many fewer tigers in the wild. 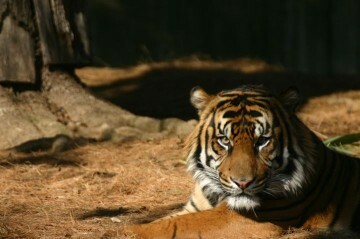 Tiger farming is the “elephant in the room,” casting a dark shadow over any progress for wild tigers. Let us celebrate India’s good news by insisting that the “elephant” be taken into account.